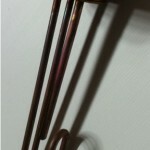 This is an immersion heater element. 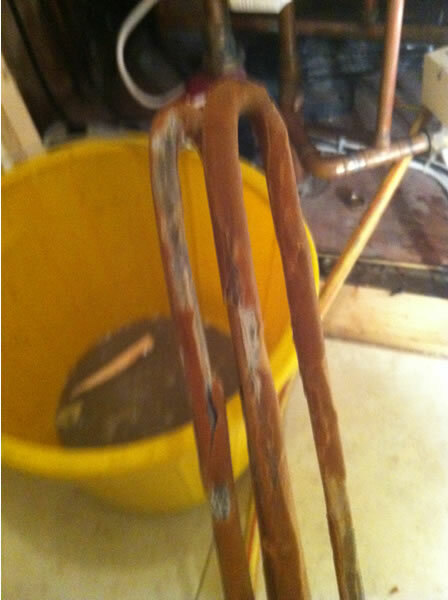 Although this Immersion heater element was fairly new it has been damaged because of hard water. The house where this element was fitted drew its water straight from a well. The water in this well is very hard so the build up of lime-scale was quite rapid. This kind of build up seriously impedes the effectiveness of the heater element, image this inside your washing machine. These problems and damage can be prevented by fitting a water softener to the supply system. For comparison a picture of a new element. The problems caused by hard water are not just limited to reducing the efficiency of your heating. Lime-scale can clog pipes restricting water flow and increasing the load and shortening the life of any water pumps in your home. Electric showers that do not get as warm as they used to, washing machines and dish washers that break down, electric kettles that get coated and then put bits in your tea. All these problems can be alleviated by fitting a water softener.